The U.S. Air Force has asked industry to submit proposals for the Ground-Based Strategic Deterrent intercontinentinal ballistic missile program and Long Range Standoff nuclear cruise missile system. 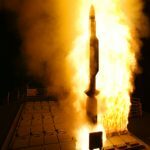 The service branch said Friday it plans to award up to two contracts for the GBSD ICBM program in the fourth quarter of fiscal year 2017 and expects to field the new weapon system by late 2020s. The military branch has proposed the GBSD ICBM initiative to replace the LGM-30 Minuteman III ICBM system, which has been in operation since the 1970s, and expects the follow-on program to help address the evolving threat environments and technology requirements through 2075. The Air Force also announced that it plans to award up to two contracts for the LRSO program in the fourth quarter of FY 2017 and deploy the new system by 2030. The LRSO weapon system has been proposed to replace the AGM-86B air-launched cruise missile, which began operations in the early 1980s, in an effort to address increasing operational and sustainment challenges. Gen. Robin Rand, commander of the Air Force Global Strike Command, told Senate Armed Forces Committee members in February that the LRSO weapon program will be designed to supplement the nuclear triad and support the service branch’s fleet of bomber aircraft against targets in area-denial environments. The service branch said it will select two prime contractors to perform preliminary design as well as demonstrate the capacity to manufacture the LRSO weapon system over a period of 54 months and then pick a single vendor through a competitive down-selection process.